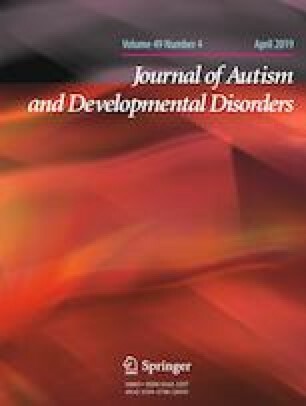 Differential diagnosis of autism spectrum disorder (ASD) is challenging, and uncertainty regarding a child’s diagnosis may result in under-identification or prolonged diagnostic pathways. The current study examined diagnostic certainty, or how sure clinicians were that their diagnosis was accurate, among 478 toddler and preschool-aged children referred for possible ASD to academic medical specialty clinics. Overall, 60 percent of diagnoses were made with complete certainty. Clinicians were more certain when positively identifying ASD than ruling it out. Children presenting with a moderate (vs high or low) level of observable ASD symptoms were less likely to have a certain diagnosis. Further, clinicians rated less diagnostic certainty for older children, those with public insurance, and those with higher IQ and adaptive behavior abilities. This research was supported by a Grant from Cognoa, Inc. The authors would like to thank the project coordinators, research staff, and clinicians at each site for their assistance (i.e., Rebecca Brewster, Connie Brooks, Heather Dyer, Casey Irwin, Kristy Jackson, Melissa Mahurin, Amy Nicholson, Justine Park, Madeline Santulli, Amanda Shocklee, Nicole Takahashi, and Alison Vehorn). We are very grateful to the families and participants who made this study possible. CGM conceived and drafted the manuscript and performed statistical analyses. CCB, LAC, SMK, ZW, and CL participated in the design and coordination of the study, and assisted with preparation of the draft. All authors read and approved the final manuscript. Informed consent was obtained from all caregivers who participated in the study.